This entry was posted on March 13, 2013 at 1:35 pm and is filed under corporations, Fiscal Policy, taxes. You can subscribe via RSS 2.0 feed to this post's comments. 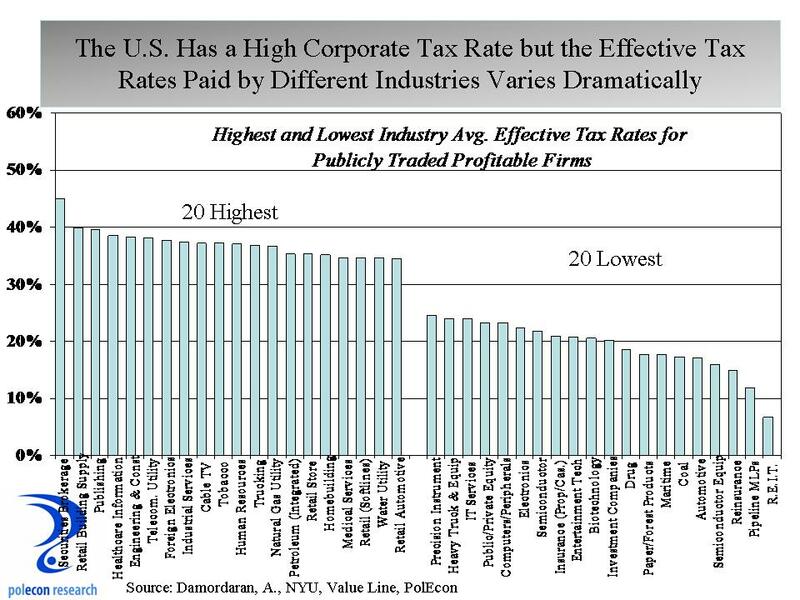 Plus, corporate taxes have a high excess burden on the economy, and much of the burden falls to workers and consumers. Good policy would be to follow Canada’s lead, cut the corporate tax rate to less than 20% and remove nonsense loopholes. Wise words indeed Tom, your “excess burden” observation leads me to believe that you are an economist or student of economics and if so definitely accounts for the clarity of thought :).I wasn’t aware of Canada’s low rate, limited tax preference policies (Surprising since I festered as a youth a few miles below the Canadian border). What about provincial taxes and payroll taxes? How do they impact the overall corporate burden? You’re right, I’m an economics student! I have to admit, I don’t know a lot about provincial corporate taxes, other than that they’re progressive based on business size and that they vary quite a bit by province. My understanding, however, is that even with provincial corporate taxes, the Canadian burden is smaller than the American one. That’s something I should look into more. As far as payroll taxes, I know that they’re lower in Canada than in the US. CPP rates are lower than FICA rates and we don’t have an equivalent to the Medicare payroll tax. But I don’t really know the specific effects of this on the corporate burden.